Wording change (persons -> people) in message text to Castle of Eureca, 9th Level (pup_land/castle_eureca/castle_eureca9) in Pup Land. No functional changes. Update syntax to Pup Land reference (was pupland) in message text to Castle of Eureca, 9th Level (pup_land/castle_eureca/castle_eureca9). No functional changes. Word spacing updates to message text in Chest (pup_land/castle_eureca/chest) in Pup Land. Word spacing update to message text in Cave Passageway, Level 4 (pup_land/castle_eureca/cave_pass4) in Pup Land. Removed blank line in message text to Cave Passageway, Level 2 (pup_land/castle_eureca/cave_pass2) in Pup Land. Word spacing update to message text in Castle of Eureca, Dungeon Level 2 (pup_land/castle_eureca/castle_eurecaB2) in Pup Land. Word spacing updates and punctuation corrections to message text in Castle of Eureca, 9th Level (pup_land/castle_eureca/castle_eureca9) in Pup Land. Word spacing update and punctuation correction to message text in Castle of Eureca, 8th Level (pup_land/castle_eureca/castle_eureca8) in Pup Land. Removed forced line break and word spacing corrections to message text in Castle of Eureca, 6th Level (pup_land/castle_eureca/castle_eureca6) in Pup Land. Word spacing corrections and punctuation correction to message text in Castle of Eureca, 5th Level (pup_land/castle_eureca/castle_eureca5) in Pup Land. Word spacing corrections to message text in Castle of Eureca, 2nd Level (pup_land/castle_eureca/castle_eureca2) in Pup Land. 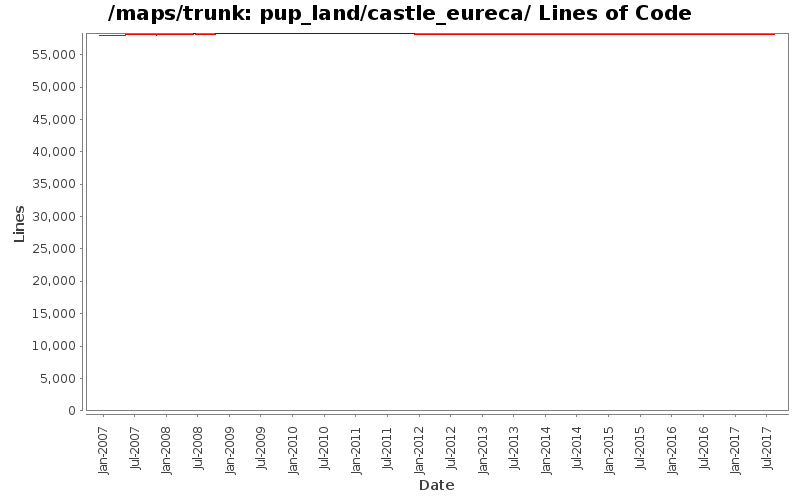 Removed line breaks in message text to Chest (pup_land/castle_eureca/chest) in Pupland. Removed cobblestones floor tiles from under two sea tiles and wall sections to Cave Passageway, Level 4 in Pupland. Technical change, no function changes. Removed line breaks in message text to Cave Passageway, Level 4 in Pupland. Removed line breaks in message text to Castle of Eureca, Dungeon Level 2 in Pupland. Removed line breaks in message text to Castle of Eureca, 9th Level in Pupland. Removed line breaks in message text to Castle of Eureca, 8th Level in Pupland. Removed line breaks in message text to Castle of Eureca, 7th Level in Pupland. Removed line breaks in message text to Castle of Eureca, 6th Level in Pupland. Removed line breaks in message text to Castle of Eureca, 5th Level in Pupland. Grammar change (dangerous -> danger) to Castle of Eureca, 4th Level in Pupland. Removed line breaks in message text to Castle of Eureca, 4th Level in Pupland. Removed line breaks in message text to Castle of Eureca, 2nd Level in Pupland.